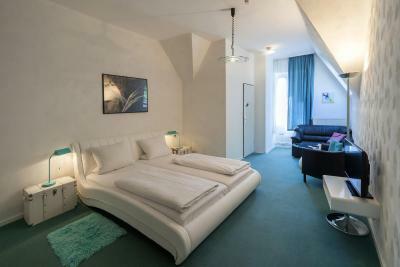 Lock in a great price for Hotel am Berg - rated 8.6 by recent guests. Room is big! The staffs making you like at home! Parking is easy and cost almost nothing camping to usual “Frankfurt price”! The place has a unique architechture. You may experience living in a small beautiful castle, smell great history. A very friendly team and hospitality. Reminds me in a very positive way of good old times of classic hotel hospitality, very clean and quiet area. The staff were very friendly and helpful. The place is quaint and so our bedroom, which was of a generous size, had decor that looked like it was from the 50s but all was clean and in good condition. 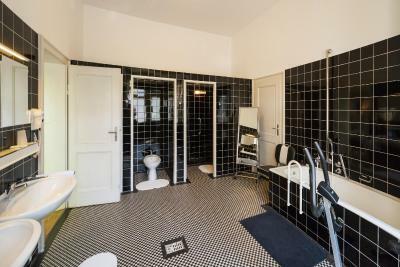 The bathroom was modern. There was a small fridge in the room and there were minibar choices of drinks and snacks. I liked that the room was big with 2 beds. There was a balcony. The receptionist lady was nice and willing to help. 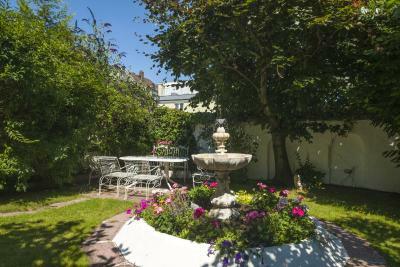 The hotel is nicely positioned, only 15-20 mins walking distance to the city centre. 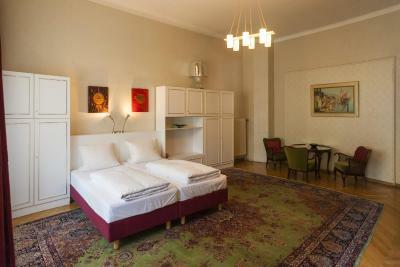 Charming Schweitzer Strasse with restaurants, shops, cafes is a walking distance. 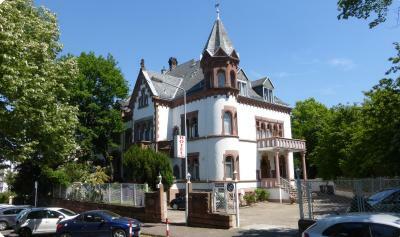 Lovely old mansion, well renovated, yet with preserved character and charm. Staff went out of their way to ensure our stay was enjoyable - from sharing the photobook about the history of the hotel to suggestions on the sightseeing routes to storing our bicycle box while we were travelling to Italy. Our room (15) was spacious and had a balcony with a swing chair. Nearby playground was a hit with our daughter during our stay. Breakfast was wonderful. Don't be put off by finding just cereal when you come in, the moment you sit down you will be served full breakfast with cold cuts, fruit, fresh breads, eggs/omelet, juices/coffee/tee. While we booked the hotel for convenience and location for short stays on our way to and from Italy, we would gladly come back for a longer stay. 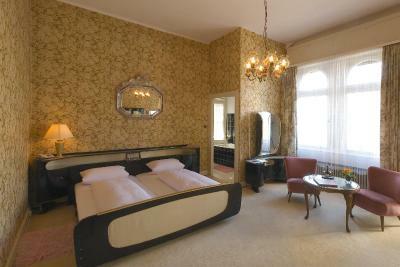 This hotel is housed in a villa which was built in a Neo-Romanesque style around the turn of the 20th century. 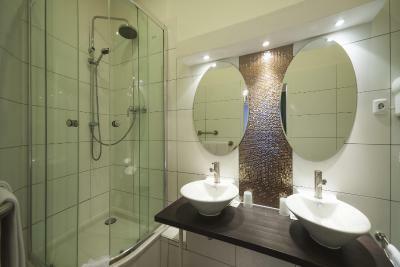 It offers non-smoking accommodation with free WiFi and a private bathroom. This hotel has been run since 1950 by the same family. 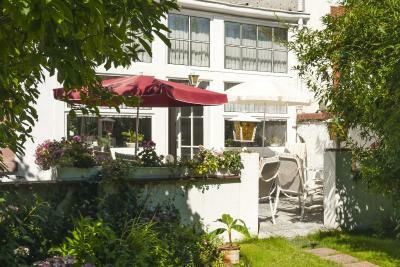 Hotel am Berg offers a quaint little garden where guests can enjoy a summer day and a terrace. 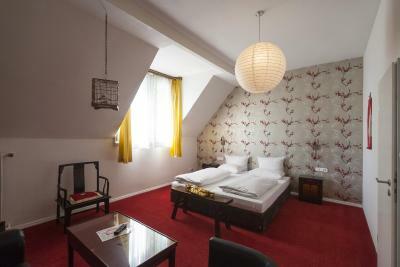 Hotel am Berg is beautifully located just a few minutes from the city centre, The train station Frankfurt Main Süd is just 0.6 miles away while the metro station Schweizer Platz is in a 15-minute walk. 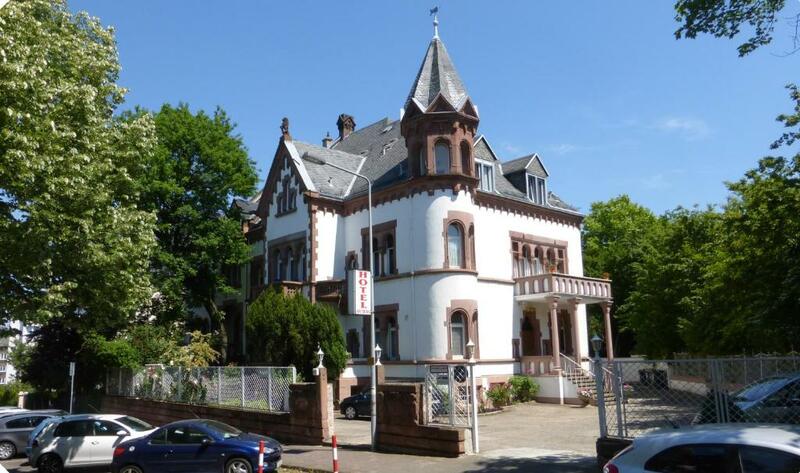 Frankfurt Fairgrounds is 3.1 miles away from the property. The nearest airport is Frankfurt airport, 10.6 miles away. Sachsenhausen is a great choice for travellers interested in museums, skyline views and city walks. 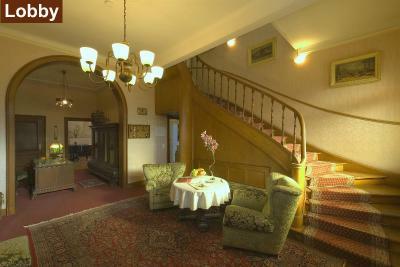 Hotel am Berg has been welcoming Booking.com guests since 16 Apr 2008. 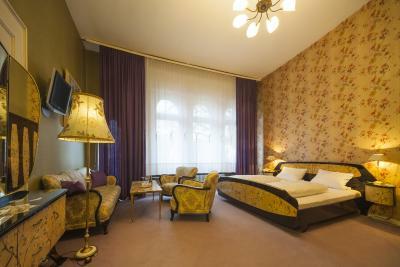 When would you like to stay at Hotel am Berg? 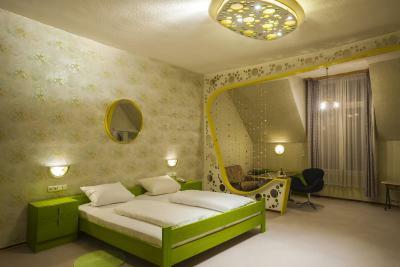 Bright room featuring free Wi-Fi, cable TV and a private bathroom with hairdryer. Cots and extra beds cannot be accommodated in this room category. Private parking is possible on site (reservation is not possible) and costs EUR 3 per day. 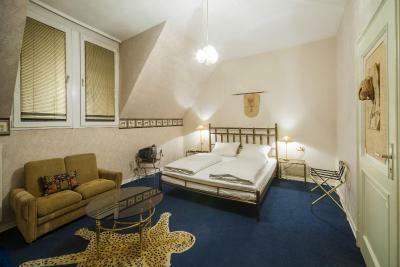 Bright room featuring a free Wi-Fi, cable TV and a private bathroom with hairdryer. This room also offers more space and a balcony. Property surroundings – This neighbourhood is a great choice for travellers interested in museums, skyline views and city walks – Check location Great location - show map Guests loved walking around the neighbourhood! 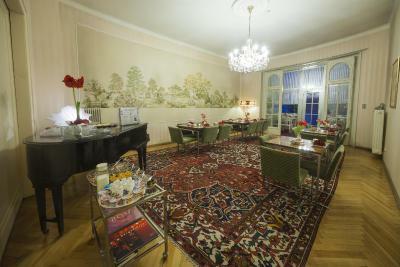 House rules Hotel am Berg takes special requests - add in the next step! Hotel am Berg accepts these cards and reserves the right to temporarily hold an amount prior to arrival. Please inform Hotel am Berg in advance of your expected arrival time. You can use the Special Requests box when booking, or contact the property directly with the contact details provided in your confirmation. One of the most picturesque neighbourhoods in Frankfurt/Main! No real problems. We did not try breakfast, but the rooms were very comfortable. Less fit folks might have trouble with the stairs only (no lifts we saw) for second story stays, but we had not issues. 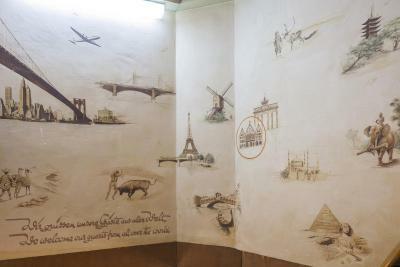 Host accommodated two guests arriving at different times. The hot water tap in the basin had to run for a few minutes before the water got hot. But it was fine in the shower. There was noise at night of people coming in and going up the "back" stairs past my room 11 to get to the second floor. Some more insulation on that wall of the room might be a good idea. Breakfast was excellent, beautifully presented, plenty of it, friendly personal service, eggs cooked to order, served in a fabulous dining room with grand piano and conservatory. I knew the room had no drinks facilities, But the first evening, after 9pm, I asked if it was possible to get a herb tea, and was presented with a tea tray with kettle, tea pot, tea bag, cup, saucer etc. This suited me perfectly for the rest of my stay. I liked the whole quirky character of the place, yes old-fashioned, but it had so much more soul than a modern chain hotel. Spacious bedroom 11 with nice view over trees and terrace garden. Mostly very quiet. Would I book again - yes! Offered extra valuable services for free. Some parts in the room are too old. But it’s a “historic hotel”. Not a chain hotel equipped with almost same everywhere! Friendly and helpful staff. Big room. Nice, big rooms with on-site parking. The pillows were really very bad. We've never encountered any like this before. They were square and large, and if you put any pressure on them they went flat. Even after asking for extra pillows, it made no difference, and we couldn't figure out how to make them comfortable. It was expensive for what you got. Breakfast was nice, but about double what I would expect to pay for what we received. I found it a bit cruel to lay out wine and snacks on the dresser, with the expensive minibar bill hidden underneath. Luckily we saw it before we opened anything, or I would have been pretty annoyed.